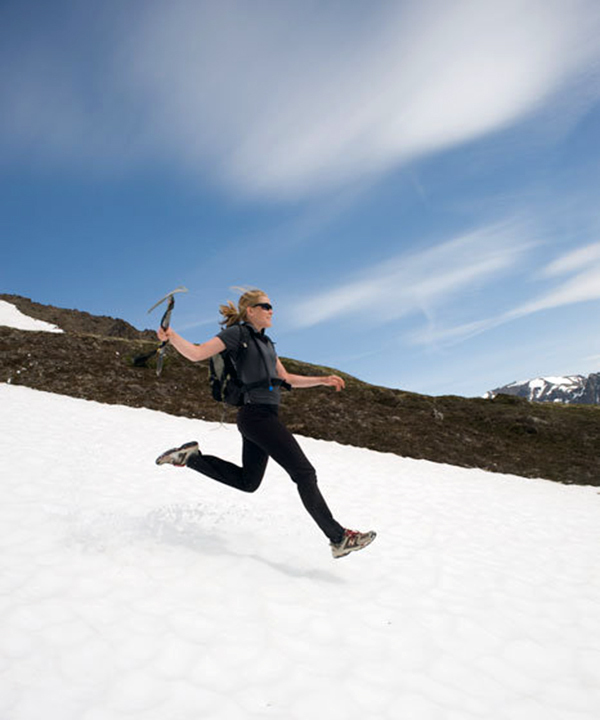 Jill Homer descends a snowfield in the Chugach Mountains outside Anchorage in June 2010. Photo by Dan Bailey, http://danbaileyphoto.com. When you have a professional photographer for a friend, you’re inevitably going to find yourself on the other side of the lens. I consider myself an avid hobby photographer, but I’ve learned a bit from watching a pro at work. During one early summer outing with Dan and his wife, Amy Sebby, in the Chugach Mountains, Dan starting sprinting down a snowfield ahead of us. Just when I wondered, “What in the world is the huge rush?” Dan collapsed to his knees, took off his backpack, and whipped out his camera in one amazingly fast movement. Amy and I followed as Dan’s shutter clicked wildly. At first, it seemed silly to me that he’d go to so much trouble to shoot photos of a bland white snowfield. Later, however, he forwarded what turned out to be my favorite portrait anyone’s ever shot of me — legs relaxed in mid-air, hair flying in the wind, smiling at the mid-day sun. I was dually impressed — Dan somehow anticipated a fun scene before it happened, and positioned himself perfectly to capture it. “I could learn a bit from Dan,” I thought. Since that day, Dan has started pumping out informational photography eBooks like mad. His latest book is a collaboration with the popular photography Web site Light Stalking, and is — in my admittedly subjective opinion — his best yet. 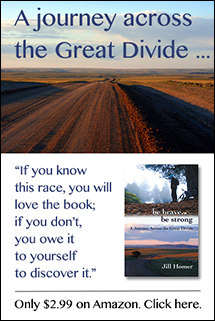 In his new book, Dan focuses on twelve adventure and outdoor images and walks readers through the entire shoot. He takes popular subjects such as mountain biking, climbing, trail running, and outdoor landscapes, and then offers tips for creating compelling imagery. By listing the exact gear he used, the specific concepts he had in mind, the creative approach, and the technical execution, he exposes the intricate details that helped bring the image to life. 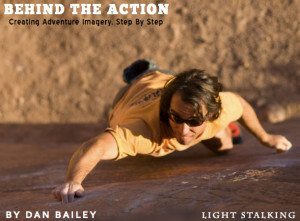 “Behind the Action,” a new eBook by Dan Bailey. He emphasizes that none of his shots required more than what he considers a basic photographer’s kit: DSLR camera, a selection of moderately priced lenses, and occasionally a tripod and basic flash gear. Most of the book focuses on using a combination of this equipment to capture adventure shots. However, there are plenty of gleanable tips for those of us who don’t even carry that much, or who may just have a simple point-and-shoot in our hands. Dan explains how he works with natural light, positions himself to capture compelling angles, and always brings a camera with him no matter where he goes. For more information or to purchase “Behind the Scenes,” visit http://www.lightstalking.com/behind-the-action or http://danbaileyphoto.com/blog/get-my-brand-new-ebook-behind-the-action. Check out Dan Bailey’s Web site and other photography books at this link.